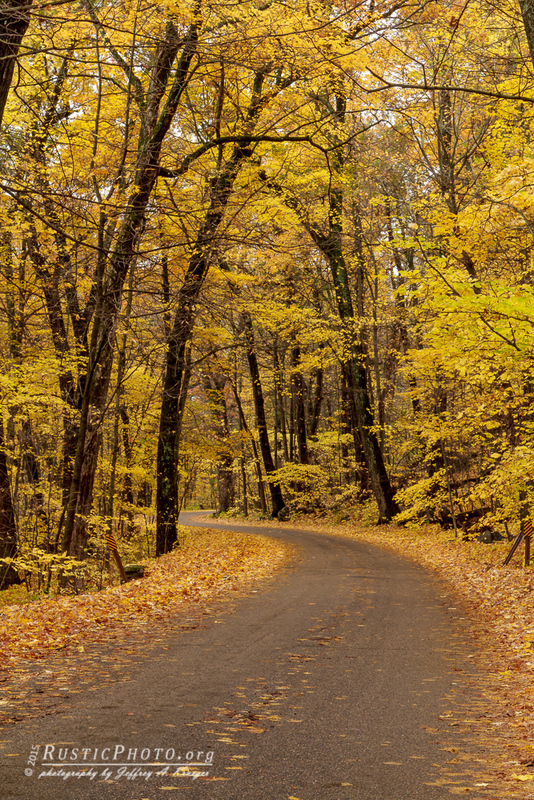 This is the entrance road to Devil’s Lake State Park in Wisconsin. Most of the area was past peak but the entrance was solid gold. This entry was posted in Fall Colors. Bookmark the permalink.